This post is dedicated to those who are obsessed with taking and editing pictures on their iPhones, like me! I know that I'm obsessed because take and edit my pictures all the time, I just don't post them up. I just like to look at them and play with different settings. I have had a hard time in the past, finding information on the best apps for photo taking on the iPhone. 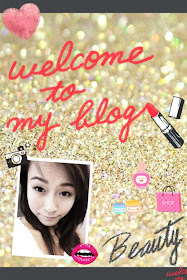 Until I came across Xiaxue blog post on the apps that she uses for taking pictures and stuff. Her post actually helped me to find more cool camera and photo-taking apps. So, I've decided to compose a post on 15 of the best apps currently in the market right now. The default iPhone camera is great, BUT this is GREATER. The level of clarity is just outstanding! I'm telling ya there is no other iPhone camera apps out there can match to this one in terms of quality and clarity of the pictures. The free version doesn't really provide much, but if you spend 99c (this was the price that I purchased about a year ago) purchasing the actual one, it is so much better! You can enhance the lighting even after taking the pictures and usually that would turn out to be good. I often use the "backlit" setting to brighten my pictures if they're too dark. The "auto" and "flash" look a bit weird though... The only thing that I don't use a lot in this camera app is their effects, just because I have better apps for effects and filters that I'd rather use. This is the app that I use 100% of the time every time I take pictures. I then save the pictures and use my favorite photo editing app, Camera 360 to make my pictures look nicer. I love Camera 360. Like any other apps, it has a lot of different settings, but what differentiates it is the amazingly nice coloring and filtering on each of the scene. Most of the time, I use this app to give my pictures somewhat of a warm feel to it, making them look less harsh. I generally love using the "Light Color" setting and "Magic Skin." The "Lomo" is good if your picture has a central object. These are the pictures that I took with Camera+ and then transfer to Camera 360, with different filters under the "Light Color" setting. I love the Grace and the Warm the most. This is the Fall filter under "Lomo" and it's not too bad, huh? There just might a little bit of shadow in my picture as a whole, but it depends on how you want your picture to turn out. You can also adjust the level of filter in everything. I love love love and love this app for making my pictures look "scrapbooking-like" with lots of cute stickers and frames. I use this app to decorate my pictures, after already enhancing it on Camera 360. My cutie sweetie pie pictures are usually decorated with these cute stickers and stamps with the Collage Collection. This is a Korean photo app that has a few cute frames and that you add little notes into your photos. 5. DECOPIC, LINE CAMERA, PICFX, STICKER HEARTS, PHOTO WONDER, FRAMETASTIC. These are actually not too bad photo apps. They're OK, but the other 4 above absolutely beat them! You can download and try each of them out because they're all free. I have downloaded quite a lot of the photo apps, but found the above are OK to keep coz I still use them from time to time. The only thing that I gotta warn you though, is that PS EXPRESS (photoshop express app)..... don't use it! It's expensive and does NOTHING to be honest! I kept it only because I've paid for it and just don't wanna waste it by deleting it. FRAMETASTIC is definitely better than Diptic, for sure! INSTAFRAME for free is pretty good too, a bit like Frametastic but with a little more selections. Instagram is OK, in my point of view. I don't know why it is such a big thing. Everyone has Instagram now, just like everyone has a Facebook account. I mean, I have Instagram too but I go on there maybe twice a month.... I don't find anything so excited about it!